The Minding Centre, based in Singapore, is part of Piya Tan’s Dharma ministry. It was founded in 2006 to provide Dharma-based non-religious service to those who seek wisdom, counsel and solace. It also serves as a haven and hub for those seeking Dharma by way of meditation and education, Sutta study and translation, and spirituality. The Centre also supports, and promotes Piya Tan in his full-time Buddhist ministry, so that his works and legacy will grow and last. The Sutta Discovery Series is a title in the Living Word of the Buddha project, whose mission is to inspire and facilitate Buddhist Studies, both in a Dharma-centred and an academic manner for personal develop­­ment outreach effort in local and global scale. The Minding Centre and the Living Word of the Buddha project are motivated and guided by the vision of mere Buddhism. We aspire to learn, teach and practise mere Dharma, or “non-religious Bud­dh­­ism,” that is, Buddhism as simple as possible, as the Buddha Dharma, so that it is open to all who seek true stillness and liberating wisdom. We aspire to compassionately and joyfully proclaim the possibility, necessity and urgency of gaining spiritual liberation in this life itself—at least as stream­win­ners, with or without dhyana—in keeping with the Okkanti Samyutta (S 25). Mere Buddhism is real and easy: live it and be free. Piya Tan, a former Theravada monk of 20 years, is doing an annotated translation of the early Pali Suttas (The Sutta Discovery Project), harmonizing between the historical critical method and Dharma-moved inspiration, and teaching them. Piya specializes in early Buddh­ism and its application today. His Sutta translations are especially popular with the forest monastics. In the 1980s, working closely with Dr Ang Beng Choo, project director of the Buddhist Studies Team (BUDS), Piya was consultant and regular lecturer. BUDS successfully introduced Buddhist Studies in Singapore secondary schools. After that, he was invited by Prof Lewis Lancaster as a visiting scholar to the University of California at Berkeley, USA. He has written a number of educational books on Buddhism and social comments (such as Buddhist Currents and Charisma in Buddhism). As a full-time Dharma teacher, he runs regular Sutta and Dharma classes at various temples, centres. He practises Buddhist counseling therapy using a combination of Forest-Insight meditation and Sutta-based psy­cho­logy. Piya often critically writes on contemporary Buddhist-related issues, and often speaks out against the misinformation, misuse and abuse of Buddhism. He sees Buddhism as a humanistic and life-affirming way to spiritual awakening, and has great faith in gaining it in this life. Piya Tan and his wife are dedicating their remaining years to full-time Dharma work without any salary. Your continued donations will keep the Sutta Translation project and this website going. Those who give an outright donation of $200 will receive all past SD volumes and Piya’s other works on a micro SD card or similar device. Those who are already our DHARMA STEWARDS (regular supporters), you only need to contact us for this SD Subscription, so that we can email you the SD volumes (soft copies) accordingly. (1) Outright donation. By PayNow. hp +65 8211 0879 (The Minding Centre). Sutta Discovery (SD) volumes are FREELY available online. This is for those who want to support the SD translation and teaching work, and get the latest SD versions. Every 3 months, you will receive a soft copy of a new or revised SD volume, plus occasional Bonus volume. We now have over 50 volumes which are being revised. Please choose your option below and click the “subscribe” button below. (Your payment is secured with PayPal). For any other amount of donation, please use option 2 below. OCBC bank account no: 533-727814-001 [bank code: 7339]. Jurong East St 24, #08-50, Singapore 600248. As part of our TMC Decade joy, we have launched the Sutta Title Index (STI) to SD 1-49 (totaling 54 vols) and the Sutta Glossary Index (SGI 1, SGI 2). Join our GLOBAL SUTTA COMMUNITY and study the earliest Buddhist texts in their comprehensive translations with detailed modern commentaries and essays. Study online with Piya Tan. Be a sutta proof-reader: email us at dharmafarer[at]gmail[dot]com. (1) Simple Joys by Piya Tan, 2009, 2nd rev 2011. (2) Revisioning Buddhism: an inspired re-look at the Buddha’s example and teachings by Piya Tan, 2011. 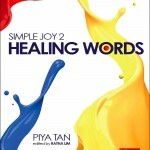 (3) Simple Joys 2: Healing Words by Piya Tan, 2011. Free copies of Simple Joys 2 is available at The Minding Centre. Please call 8211 0879 (Ratna) or email us at: themindingcentre@gmail.com if you are interested. Download soft copy here. (4) Simple Joys 3: loving words. By Piya Tan 2013. (5) Simple Joys: choice gems 1. By Piya Tan, 2012. This entry was posted in Uncategorized on October 17, 2009 by .